Everyone has a dream home, even if they don’t know exactly what they want from it just yet. At first thought, your dream properties are likely to be French châteaux, New York City high-rise apartments or Beverly Hills mansions. Unfortunately, in reality, deciding on a dream home is simply not as easy as settling on the first beautiful house you see. Here at IMC, we think that the most important aspect of all ‘dream properties’ is the comfort and happiness of the owners on both a financial and more general level. Being content and comfortable in a home is the key signifier of whether or not it’s right for you. While that über-modern apartment may look excellent, you have to think about size, purpose and location. Is it really one of those dream properties people always talk about? Is everyone’s dream home the same? When on the hunt for one of those dream properties, remember that location is key. No matter how beautiful a house is, those romanesque colonnades simply won’t cut it if the area in which a property is located constantly takes away from the quality of the home itself. Despite this, you should keep your finger on the pulse of the direction that any location you consider is going in. Is the town getting some major investment? Are high-end shops opening nearby? Perhaps a large company is opening a new office? 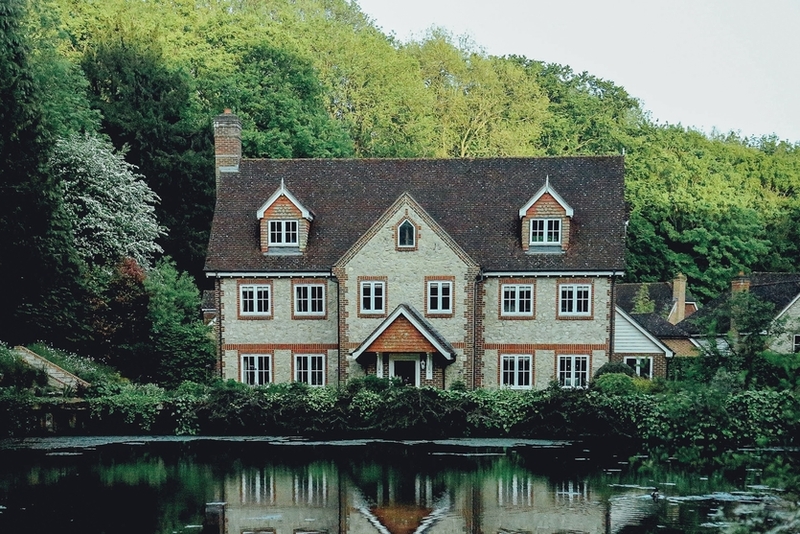 When you initially assess a location, you may end up viewing whether or not it’s run-down or deprived as the major turn-offs, but there’s more to choosing a location for your dream home than just whether it looks nice. Consider where the area will be heading in the future. Sometimes a fairly nice house in an area traditionally considered more ‘low-end’ will turn into a great financial decision. Anyone who bought a house in one of London’s more up-and-coming boroughs will tell you that a reasonable house in an up and coming area could certainly be seen as a dream property thanks to the 518% increase in average house prices between 1996 and 2016. Remember, in today’s climate, a house that needs a little work in a deprived area may soon become a beautiful home in a surprisingly upmarket area – now that’s a dream come true. There’s more to a perfect location than simple monetary factors. As we’ve previously mentioned, dream properties are those homes that give you the most comfort and happiness. Comfort most easily comes from a comfortable life, so choosing a property nearby to any essentials is a sure fire way to elevate a good house to a dream house. A location with great links to work, schools, shopping and your favourite activities will do wonders for your perception of a property and make living there a dream come true. As well as being in a good location for your day to day comfort, a dream home must be fit for whatever your purpose of buying it is. Some people are looking for a property to fix up, others want a home that allows them to move into luxury immediately, others just seek a reasonably moderate, cosy home. Whatever it is you’re looking for, decide on that before really settling on what you would define as a dream home. If you have a family, your dream property may be a large detached home, with enough space to keep the kids busy for hours. If, on the other hand, it’s just you and a partner deciding on what kind of property you’re looking for, a smaller, more manageable home is far more likely to encapsulate everything that makes a property a dream one. Of course, this ties in with the location too; some of us love long walks through the heather with our dogs, so a place in the country is what dreams are made of. On the other hand, if you’re a city-dweller at heart, that’s one more feature that will help to narrow down those dream properties. Purpose, or suitability, is so important and really exemplifies how one person’s house from hell is another’s heaven-sent property. A dream home is not a home that you have to be worrying about years down the line. The best homes are those in which you just don’t need to worry about the future. Even if you are a bit of a DIY-obsessive, you won’t want a house brimming with genuine structural problems that will turn your favourite hobby into a difficult slog. This doesn’t necessarily mean that you should only consider state-of-the-art new build homes. A well-built older house can be just as much of a dream property as a sleek modernist masterpiece. Whatever the case, a true dream property is one that doesn’t cause you undue stress – remember, the key to the dream is your personal comfort. Let’s be realistic, everybody should have a dream home that’s catered perfectly to their lifestyle and goals, and it’s easier than people think. Unfortunately, most of us won’t have grand country manors simply because we can’t afford them. With that said, is a home that you’d struggle to afford really a dream? A true dream property is one that will leave you without serious financial woes. These are the properties where you can comfortably afford the mortgage, don’t have to take out a great number of loans and can live without a dark financial cloud over your head. This also goes for choosing a cheaper house that feels like a money pit, with constant upkeep and repairs that make your finances feel as though they’re disappearing. You certainly won’t be living the dream if your home is causing you to just scrape by. With house prices having increased dramatically over the years, getting that dream home may take a while. But it’s not worth rushing into and living in a nightmare thanks to bad financial decisions. Before buying any property, ensure that you seek independent financial advice so you know what you can afford and what exactly a ‘dream house’ would be for you. Once you’ve found your dream property, get in touch with the friendly IMC team. We’re mortgage experts who are always happy to help you take those first steps towards buying their dream property.